This week we have new QHP Breeches. They are one of my favourite ranges. But why? 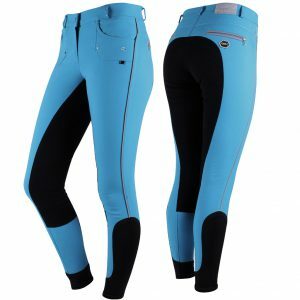 The best thing about QHP’s Breeches; no matter what colour or style, is the fit. Most styles are available in sizes 6 to 16, but they also do some in 6 to 20. But it doesn’t matter what end of that scale you are, they fit. I’m constantly seeing people complain about breeches because either they don’t fit the curvier lady or they aren’t small enough for the slimmer ladies. Don’t put up with breeches that become baggy at the knees, or around your waist. breeches, are great for giving a bit of a hold to your tummy. 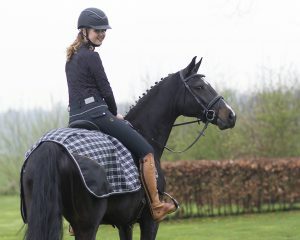 My second reason for being a fan of these breeches, is that they don’t simply offer the standard black and white. They do offer some lovely black and white breeches, but with the new range we have some lovely bright red breeches as well as dazzling Turquoise. 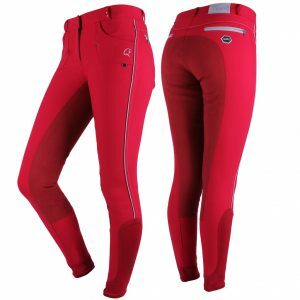 Lastly, the Softshell breeches are great for winter. None of us like the cold, and when riding, I know that my thighs always seem to be freezing. So, any help there, is definitely a great bonus.